WhatsApp received a very interesting update which seems to be getting a lot of attention from people all over the world. The new update which was first seen in beta bring an upgrade to the ‘Change Mobile Number’ feature. Now with the new update, users will be able to choose how to notify about their number change to their contacts. There will be three options for this – All Contacts, contacts I have chats with and Custom. However, out of the three, only the first one is available to the users now, as you must be aware of. Currently, whenever a user changes the mobile number, every contact number/group will be notified. But WhatsApp Android users on the beta program can now choose the above mentioned three options. 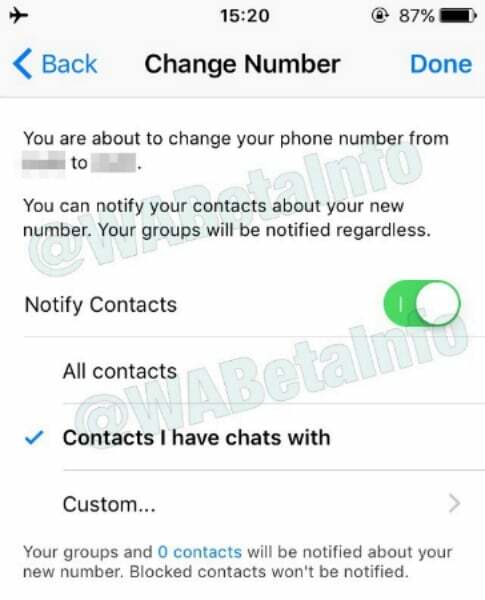 The first option All Contacts is the same one as mentioned earlier, the second option is only to notify users who you’ve chatted with in the past, and the third option is manually selecting the contacts if users you want to notify about the number change. 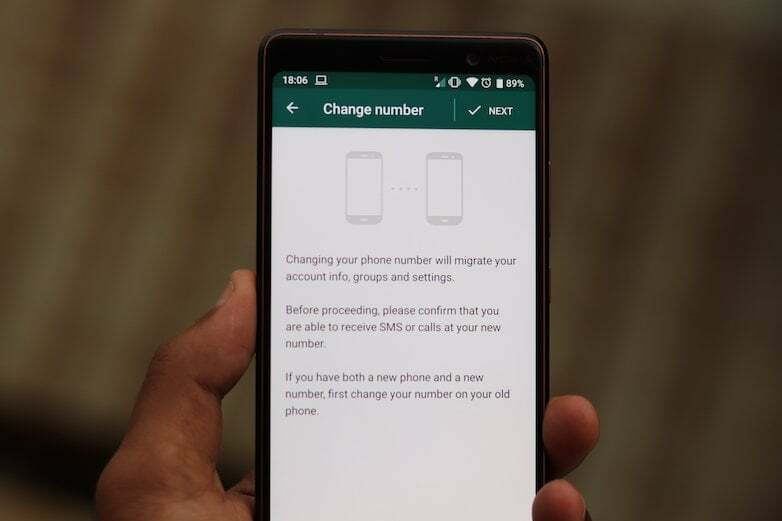 WhatsApp introduced the Mobile Number Change feature a while back on all the platforms, allowing users to retain the previous chats even with the new number. 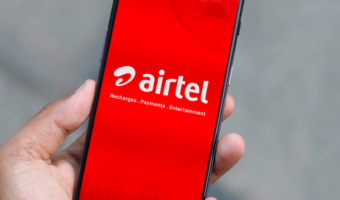 This feature received praise from all over the world, but the notifying about the mobile number change is something annoyed several customers, which has been addressed by the company now. This new feature, for now, is available only for the WhatsApp Beta users on Android platform running the latest version 2.18.97. 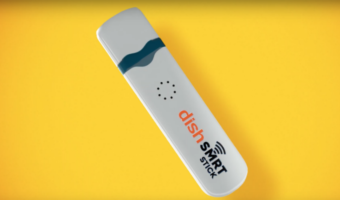 However, the company is expected to roll out the same features to the iOS application very soon. 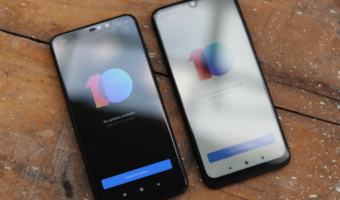 Also, WABetaInfo states that the feature will also be made available for Windows Phone users, which is something very interesting, not because of the feature, but because of the company’s commitment towards the Windows Phone mobile platform, which is officially dead now. There’s no timeline for the feature rollout for iOS though.